Need Different Size or Shade?? 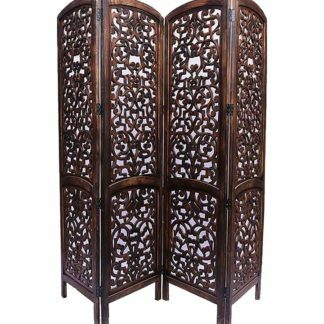 Aarsun Woods present you with Handcrafted Foldable Partition Screens / Room Dividers made from Mango wood and adding a touch of elegance to your living room. Folding Partitions are mostly used to separate a space from the rest of the house. 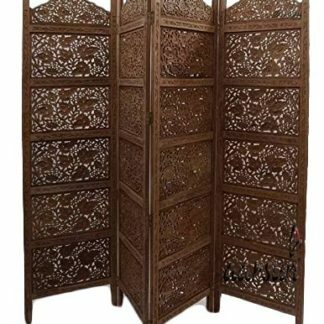 It can be used in Puja Room or as a Privacy Screens. 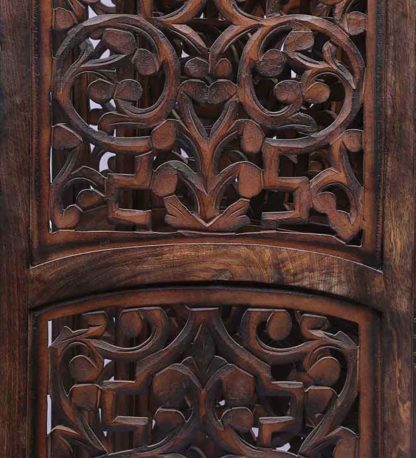 Moreover, these screens adds a traditional look when placed in your living room / drawing room. 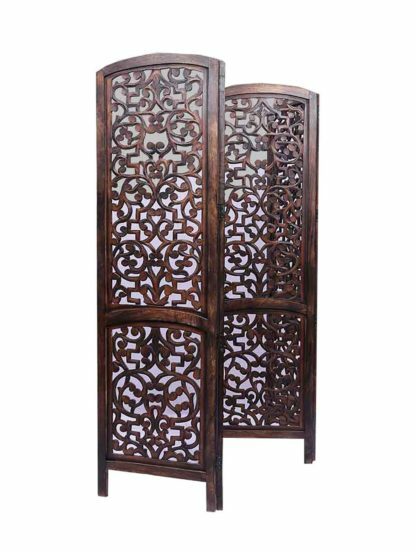 The unit is handmade by skilled artisans in Mango Wood Frame and design in MDF (Medium Density Fiberboard). The unit consists of 4 Panels each 72 inches in height and 20 inches in Width. All of our Partitions comes in this standard size and can be customized in 2 or 3 or 4 or 6 Panels depending upon the requirement. 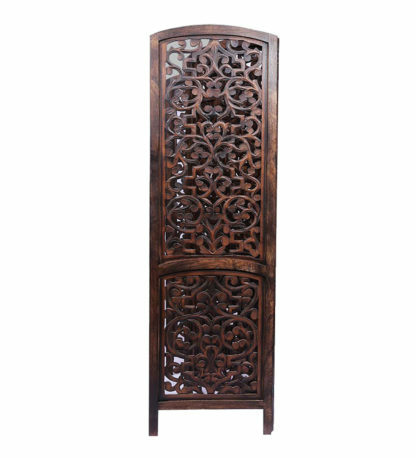 The unit is hand-buffed to give it an antique style look and traditional finish.